Ashlyn went for a blue and black combination. She used her Tatienne bodysuit as a part of her top thus adding more texture and more details into it, rather than leaving it as black tanktop alone. 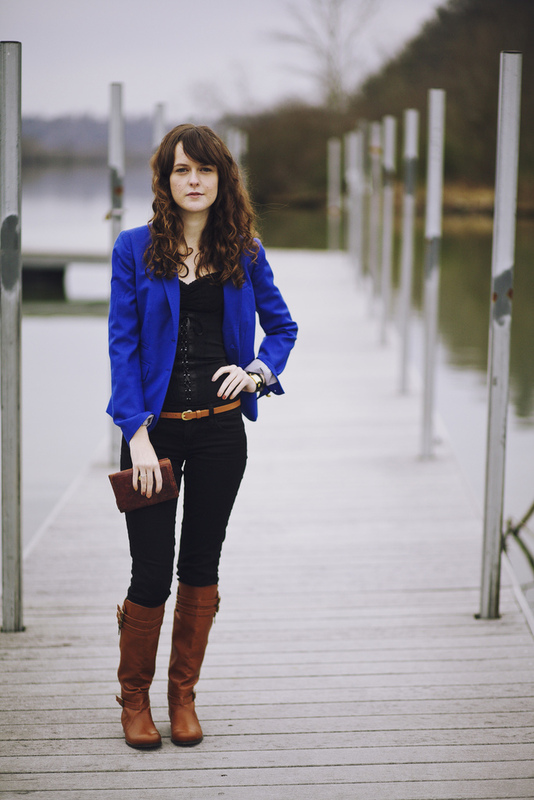 She finished her look with a royal blue blazer, skinny pair of pants and a casual pair of boots! For her night outfit, instead of keeping her skinny pants she exchanged it for a black a-line skirt, black tights, a classic glittered boots, and a baroque gold crop blazer! We love this look to bits and we think it' perfectly suits to a modern JS prom ball! 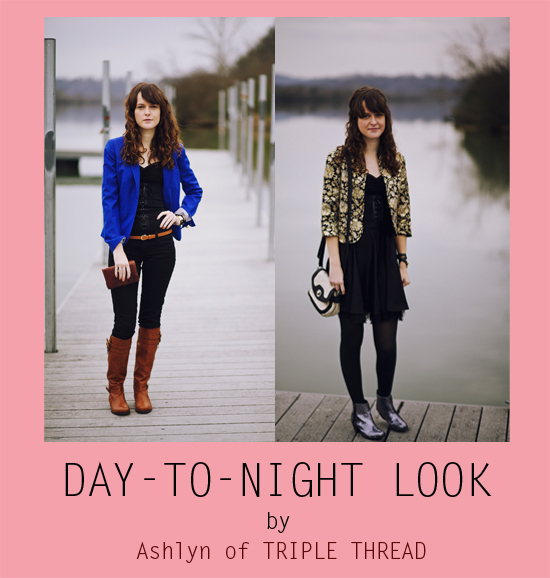 Would you rather be dressed in her day or night look? :) Tell us what you think!